Daimler, Majestic, Sovereign, Vanden Plas, confused about these names and badges ? 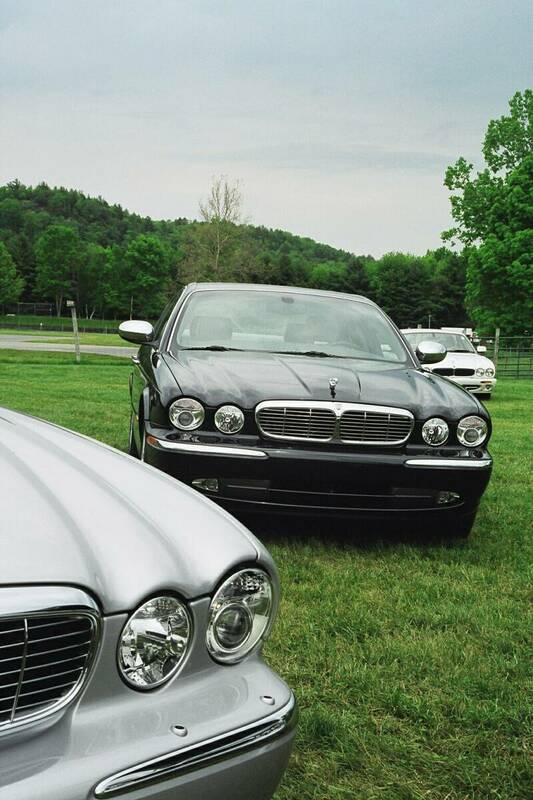 long and tapered lines were pure Jaguar. 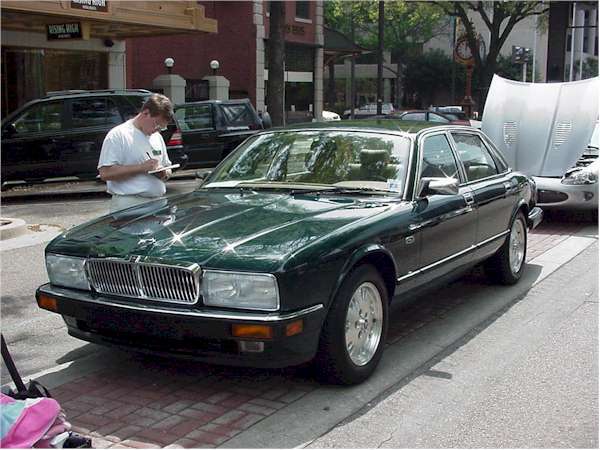 The new rectangular headlights (on some versions) and taillights were among the signs that things has changed since the first XJ6 was introduced 20 years earlier. Partly beause of funding issues, the redesign of the XJ6 had lasted longer than usual having started in the late 70s and while the final design was the results of Jaguar's own design team, the company had consulted several Italian styling consultants in the process. Inside, the familiar round gauges set against the flat dash panel were gone and replaced by a more contemporary instrument pod; for the first two years digital gauges were used but dropped in 1990 and replaced by more reliable analog versions. Craftmanship in the woodwork and leather upholstery remained as good and refined as it had always been in a Jaguar. The XJ40 was also the first Jaguar to feature what would become a Jaguar trademark, the J-Gate gear selector which offers better control of the automatic transmission. 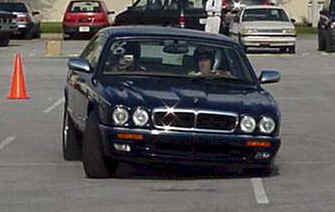 Changes extended far beyond looks and styling and mechanically the XJ40 was a completely different cat. The most obvious change was under the bonnet with an all new engine, the AJ6, which replaced the classic but now dated XK engine. The new 3.6 liter dual overhead camshafts 24 valve straight 6 produced 221hp and offered better fuel economy and emmission levels. In Europe, a 2.9L version was offered as well. Also new was the rear independent suspension which had been completely redesigned. Jaguar was among the first manufacturers to offer independent rear suspension on its cars and the original design, first introduced on the 1961 E-type, was still used on the series 3 XJ6 with harder to service inboard brakes. On the new XJ40 suspension, rotors were moved to a conventional location near the wheels but less beneficial was the troublesome Self Levelling Suspension system, discontinued later on in favor of traditional shocks and springs. Interestingly, the Series III XJ saloon will still be produced for another 3 years for some markets powered by the V12 engine. 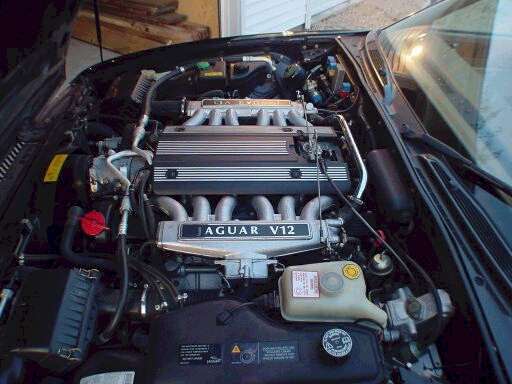 Only in 1992, for 2 years, would the V12 engine be used in the XJ40. Originally, the XJ40 engine bay was designed not to accept any Vee engine, something the designers did to ensure that then owner British Leyland wouldn't be tempted to use a Rover V8 to power the new XJ40. It took a substantial redesign of the engine bay in 1992 for the V12 to fit. In 1990, the XJ40 received some significant enhancements, starting with a larger version of the AJ6 engine now 4.0 liters and developping 235hp and while 14hp doesn't seem like much, the torque increase was a substantial 14%. A new 4 speed automatic, electronically controled and featuring a sports mode, was developped along with a new Teeves and antilock braking system. On the road, even today when well maintained, the XJ40 is a real Jaguar : smooth, powerful and comfortable made to cruise effortlessly while its passengers enjoy the luxury... and its driver enjoys the driving ! The earlier versions of the XJ40, still under the influence of Jaguar's dark days, had their shares of problems which were solved with time and the latest cars (92 to 94) are fairly reliable. They are also very well equipped with ABS, airbags, cruise control, security system and a good sound system. 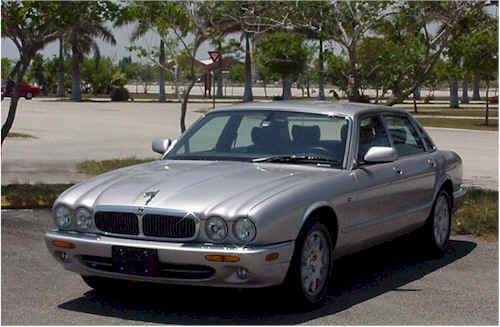 Early in 1990s and soon after the 2 1/2 billion dollars purchase of the company by Ford, work begun on a facelift for the XJ6; the result was the X300 launched in 1995 and still sold under the familiar XJ6 name. It was a back to the roots design with the return of a more rounded shape with dual healights flowing into the bonnet. Sleek and tapered lines were still there of course along with the familiar Jaguar haunches. Mechanically, the effects of Ford's massive investments in Jaguar were felt with an all new and much needed electrical system and an updated version of the AJ6 engine, the 245 hp AJ16. In Europe, a 3.2 liter AJ16 engine was available. The interior of the car was mostly unchanged, a sign of how good the XJ40 interior was and one of the XJ6 few shortfalls, interior room, was addressed with a long wheel base version, the XJ6L, featuring an extra 5" behind the centre pillar. 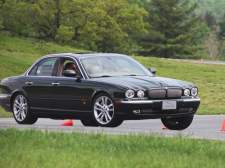 In 1996, Jaguar launched an even more powerful version, the XJR, featuring larger wheels, improved sports suspension along with minor cosmetic changes like color coded grille. At the heart of the XJR, the AJ16 engine received a supercharger giving the 6 cylinder engine an impressive 322hp and 378 ll/ft of torque. Enough power to leave the competition in the dust while offering Jaguar luxury and styling. The X300 was also offered with the Jaguar legendary V12 engine, now enlarged to 6 liters, for those looking for the ultimately smooth motoring experience. Very few were produced and the V12 engine was permanently retired at the end of 1996, one year before the AJ16 and the Jaguar tradition of in line 6 engine would also reach the end of the line. If the switch to the new aluminium v8 engine marked the end of an era, it also provided the Jaguar XJ line with more than just a new name. The new V8 engine, first used in the XK8 sports car in 1996, not only brought more power ( 290hp ) but also a smoother and more refined feeling to the car. When driving the XJ8, the smoothness of the drivetrain is evident and in many apects the XJ8 feels nearly as smooth as the previous XJ12. While the body style was unchanged from the X300, the interior was completely redesigned using a dash layout inspired from the XK8 : an uninterupted veneer panel across the dash with deeply recessed primary instruments. Once again, despite the changes the traditional British veneer and leather craftmanships have been kept and this is even more evident in the long wheelbase Vanden Plas with the lighter wood inset, picnic tables and piping on the seat. Rarely seen in the streets is a Supercharged Vanden Plas, introduced in 2000, which combines the added luxury of the long wheelbase Vanden Plas with the power of supercharged V8 engine. The 7th generation XJ Saloon which went on sale mid 2003 is the best so far featuring an aluminum monocoque body shell, more power, improved handling and comfort. Standard power comes from the upgraded 4.2 litre V8 introduced in 2003 on the S-type although V6 versions and 3.5 litre V8s are available in Europe.